It’s hard not to be impressed by a teenager as accomplished as Haley Gompertz. 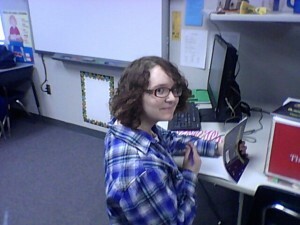 Already an award-winning published author, Haley, a full time high school student, fills in her very few leisure hours with writing and book signings. Recently I caught up with Haley and we chatted about her life, her influences and her plans for her bright future. I’ve always lived here in Katy, Texas. I’ve never been out of the country before, but I have been to Louisiana and Florida, including all the states in between here and Florida. I don’t usually commit a single day to writing, but when I have time or am motivated, I pull out my laptop and write. I usually go to my desk, set my laptop up, turn on some music, and open Word to start. I also usually bring a drink so I won’t have to leave the room for the sake of momentum. Describe how you came up with the idea for your new book and the process you followed in creating the book. Most of my ideas are thought up in my head and bounced off my family members, who are all very supportive. For my newest book, I wanted to do another spacey children’s book with some big meaning like Pluto’s Planet Problems, so after narrowing down my topic and bouncing ideas, I came up with the Mars Rovers. When I write children’s books, I usually start out with the script. With the basic idea in my head, I number off each page as I go along, consisting of the words only, so my creative flow when drawing can try different things out. Then after that, I can move to Photoshop and start on the pages. I draw up character sheets for the characters of the book and then start with page one in full color. I haven’t published a novel, but when I do write, I have the same basic gist, except I usually draw before I write the story, often little scenes I’ve planned to happen, or just character references. I have a lot of favorite writers but if I had to choose my favorite, it’d be James A. Owen. His books are funny, smart, and very well thought out. He weaves fantasy, fairy tales, poetry, history, and real people together in his series, Chronicles of the Imaginarium and Geographica, to which I’m very devoted. My advice is to find time to write and be dedicated. That is one of my major issues with writing, since I am a big time procrastinator, so I think, if you can get over that, and actually dish things out, and then you’re on your way to writing! I’d also suggest letting people read it, but as a warning, do not give it to your parents or friends, for those people tend to tell white lies to make you feel better, even if they don’t exactly like your story. Perhaps a very honest or blunt friend, someone who will tell you what’s wrong. Right now I’m working on my new children’s book which I’m probably going to call Lonely Rovers. I’ve submitted the rough draft to the SCBWI conference to get critiqued from an illustrator, Peter Brown. I’m a bit nervous, but I think it’ll do okay. I will be signing books at Blue Willow Bookstore on June 4th. 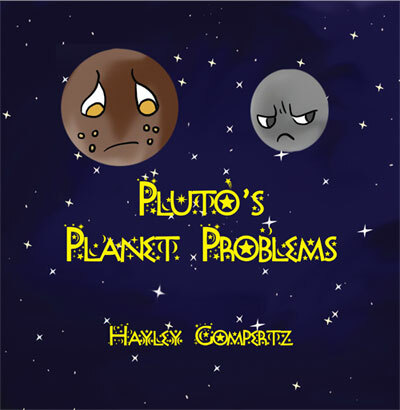 You can learn more about Haley and her books on her website at http://www.hayleygompertz.com/.